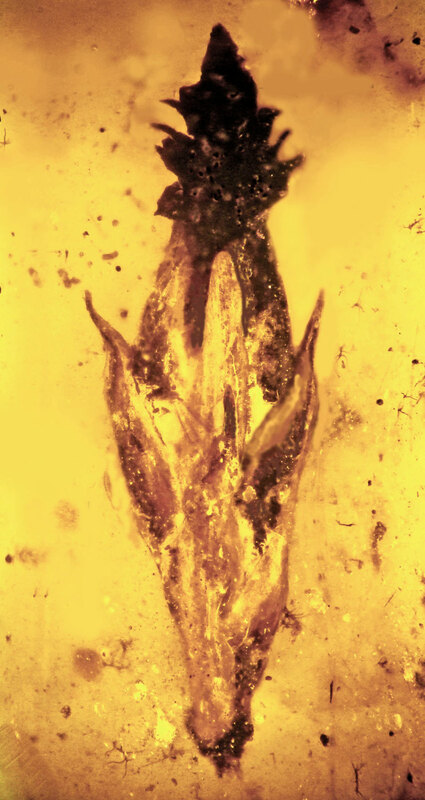 A perfectly preserved amber fossil from Myanmar has been found that provides evidence of the earliest grass specimen ever discovered – about 100 million years old – and even then it was topped by a fungus similar to ergot, which for eons has been intertwined with animals and humans. In animal and human history, the fungus has been known to cause delirium, irrational behavior, convulsions, severe pain, gangrenous limbs and death. In cattle it causes a disease called the “Paspalum staggers.” In the Middle Ages it sometimes killed thousands of people during epidemics when ergot-infected rye bread was more common. It’s been used as a medicine to induce abortion or speed labor in pregnant women, and one researcher – whose findings have been disputed – suggested it may have played a role in the Salem witch trials.